Although they didn't start off as rivals, the Corvette and the 911 managed to become competitors in regards to which is the ultimate sports car. Cars don’t necessarily have to be precisely matched against each other in order to be rivals. Sometimes all it takes is a vaguely similar price range and a similar sporting nature. The Chevrolet Corvette and the Porsche 911 were certainly not created to be rivals, but the two found themselves competing for the same customer base in the US, and so another long rivalry was born. If anything, the line between the two cars has only become more blurred over time. The Corvette debuted in 1953, a full 10 years before the 911. The design of the original car was strongly influenced by European sports cars, and the idea was to attract former servicemen who had come into contact with cars by MG and Jaguar during the war. 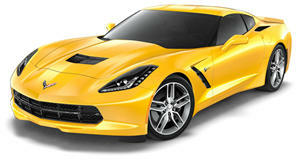 But this is almost irrelevant when it comes to competition between the Corvette and the 911. The C1 Vette was built at a time when nothing quite like the 911 existed, and by the time the Porsche debuted, the Corvette had changed drastically anyway. The 1963 debut of the 911 wasn’t initially much of a threat to the Corvette. The 911 found a following in the US right away, but the power advantage of the Corvette meant that they weren't really in very direct competition. This power gap would widen as the Sixties progressed and would continue on into the Seventies. In 1969, it would have been very difficult to justify the purchase of a 911 with 128 horsepower when there was a 427-equipped Corvette producing 430 hp. Then, in 1975, everything changed. The 1973 energy crisis had already taken a toll on all American V8 engines, but the introduction of a catalytic converter for the ’75 model meant that the Corvette was now producing 165 hp. That same year, Porsche introduced the 930, the first turbocharged version of the 911, which would make it to the US in 1976. This had 256 horsepower, and would that figure would climb to 300 in 1978. The 930 also had a 500-pound weight advantage over the Corvette, and the Corvette’s lower price could no longer make up for the enormous performance advantage of the 930. The remainder of the C3’s days were not pretty when compared to the 911. Things would once again take a turn in 1984 with the introduction of the C4 Corvette, and it is here where we see the rivalry really start to take shape. The C4 was lighter than its predecessor and more powerful as well, but also a more sophisticated machine all around. Porsche would bring out the radically advanced Type-964 911 in 1989, which brought such game changers as all-wheel-drive into the equation. But in 1990, Chevy would bring out the ZR-1, a high-performance version of the C4 designed with input from Lotus. This was a very serious machine, designed to be competitive with the higher-end European competition. But with this seriousness came an equally serious price tag that was out of step for most Corvette and other potential customers. There wasn't much of a price advantage over the 911 and with Porsche bringing out an all-new Turbo the same year, the ZR-1 wasn’t nearly as big a hit as it could have been if it had debuted a few years earlier. It would last only until 1995 in this form. Chevy would bring out the C5 in 1997 and Porsche would introduce water-cooled and dramatically more powerful engines with the Type 996 in 1998. But the formula would remain largely the same, as it continues to be now. 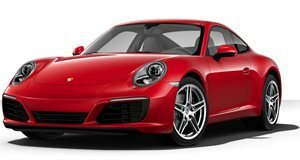 The 911 typically offers a bit more sophistication and more precise handling while the Corvette offers up more raw power and a lower price. As with any good and continuing rivalry, the choice between the two cars often comes down to personal preference and a matter of priorities. Image also plays a certain role, with the idea that 911 drivers are often more pretentious probably being not entirely without merit. Meanwhile, the image of the unsophisticated Corvette driver certainly wasn’t helped when a Corvette pace car at the 2012 Indianapolis 500 was driven by noted douche Guy Fieri. With both cars clearly exhibiting such different strengths, this is a rivalry which clearly has a lot more years in it.